Dr. Shames became very invested in learning about the thyroid after his wife Karilee developed thyroid disease. Karilee, a nurse practitioner, went to some of the top endocrinologists and yet felt her care was very inadequate. Dr Shames along with his wife and daughter (an acupuncturist) dedicate their lives to help thyroid sufferers around the globe. It is a bigger epidemic then diabetes and yet many health care systems largely sweep it under the rug. “It can’t kill you though you may wish you were dead.” Thyroid disease can rob you of a quality of life and has a large laundry list of symptoms. For fertility, thyroid health is paramount and must be treated in orchestra with the hormones and adrenal system. In this interview we discuss testing, treatment, proper rangers and the causative factor. I am a big fan of Dr. Shames and have recommended his book, Feeling Fat, Fuzzy and Frazzled to many of my patients who have all raved about it. Dr. Shames understands the complexity of thyroid disease but also acknowledges that because it is a complex condition everyone must be treated as an individual. 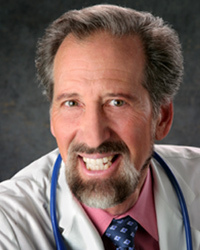 Dr. Richard Shames graduated from Harvard and University of Pennsylvania Medical School. After research at NIH and an internship at San Francisco Public Health Hospital, he created one of the first integrative medical centers in the US in 1974. He served as Marin County Health Department physician for several years, as well as preceptor for medical students from UCSF, where he also lectured on integrative medicine. The author is well known for his prominence and pioneering work in the field of holistic healing. Dr. Shames, co-author of “Healing with Mind Power” and “Thyroid Power”, has lectured and written extensively to health professionals and the lay public on a variety of topics related to health promotion and integrative medicine. In addition, he is a popular speaker and local media personality, and has created his own audio and video tape series. Dr. Shames has been in private practice for 25 years, presently at the Preventive Medicine Center of Marin. He currently consults with health consumers nationally and internationally, promoting a new model of medical care that empowers both patients and practitioners. You can find out more about Dr. Shames through his website and by following him on Facebook, LinkedIn, and, Twitter. Thyroid is intimately related to hormones and adrenals forming a 3 legged stool in which the metabolism rests. Many of the doctors helping patients today with thyroid issues are not endocrinologists but instead functional medicine doctors. Discussing standard for testing thyroid. Issue is that it works for some but does not work for all. TSH test does not test for thyroid hormones. It tests for pituitary hormones in the brain. Thyroid disease is the biggest silent epidemic where a quarter of the population is dealing with pervasive endocrine symptoms and a laundry list of other symptoms. A healthy thyroid is paramount for fertility and preventing miscarriage. It is the main cause of post-partum and a major player in menopause. As many as 30% of all depressions are caused by low thyroid. Why HMOs are being “penny wise and pound foolish” when it come to running a full thyroid panel. Why is there such as epidemic of thyroid disease? Dr. Shames discusses the impact of pollution and synthetic chemicals. The thyroid and adrenals hormone producing glands to chemical exposure. Water supplies-fluoride is known to be anti-thyroid but is added to the water supply for dubious reasons. A normal filter can not filter it out. Also discuss heavy metals and other pollutants in our water supply. How thyroid medication how thyroid medicine affects the healing of the thyroid. Discussing if foods can affect thyroid health. Iodine and it’s importance to the thyroid as well as how to get adequate iodine. 0:27 Charlene Lincoln: Welcome back to another episode of The Fertility Hour. I’m your host Charlene Lincoln. Well, I’m excited today. I have a very special guest. I have a big fan of his. I don’t know if he knows that but I have recommended so many of my clients to him and his books that I feel like I should get a commission on it. But we’ll see if he agrees upon that. Thank you so much. Welcome, Dr. Shames. I’m so happy to have you here. Dr. Richard Shames: It’s a pleasure to be here. Thank you. 2:14 CL: So I didn’t mention my favorite book of yours ‘Feeling Fat, Fuzzy, and Frazzled’. RS: Right. That was a fun book to write. The wife and I wanted to show people that thyroid is totally related and intimately related to the female hormones as well as your adrenal hormones. It’s the two extra thoughts in addition to thyroid being a good thought to have about your health, form a three-legged stool really that forms a stable platform upon which the entire rest of your metabolism sits. 2:57 CL: That is so important. First of all, I love that title and there was a point where I was in private practice with a medical doctor and we were treating so many women with Hashi’s and different types of thyroid conditions and adrenal, and that was sort of my bible. I passed that out to so many patients and many of them went to see you and loved you. It was interesting because I live in the Bay Area as well. The Bay Area has extremely intelligent people, taught medical care etc., but people were desperate to go to an endocrinologist that would understand them and listen to them and not kind of brush them off. So I was so grateful to have you as a resource. So we went to the University, an endocrinologist, in fact the thyroidologist/the thyroid specialist as an endocrinology professor at the University, and got her squared away from what she gained, I started using in my practice and then more and more people began coming to me because it was very helpful for folks. 4:41 CL: Absolutely. A lot of the care that women are seeking out right now are from functional medicine practitioners that are practicing integrative medicine that are not endocrinologists, absolutely. That is good that it’s expanding out that way and we’re having more of an understanding. In your book you talked about the three-legged stool and I thought that was just such a great visual educational piece because in western medicine, they tend to laser focus on a certain area but it’s really about treating the whole body, isn’t it, when you’re dealing with gland disorders and not compartmentalizing. RS: Absolutely. These hormones don’t work individually. They work in concert with each other. So it’s a little like being a conductor of an orchestra where you need to have all parts working together and in harmony with each other. So it’s not just getting your thyroid in good shape but if you can do a larger and larger version of the picture, and that’s what functional medicine doctors do, you get a much better result, you get a much better outcome. So the beginning for many folks is to realize that thyroid is crucial to their health and their fertility, and then to realize, “oh,” but thyroid is one leg of a three-legged stool—the thyroid being one leg, the adrenal system being another leg, and then the female hormones being another leg. That three-legged stool then allows you have the balance that then can lead to balance on the rest of the endocrine system. 6:33 CL: What I hear a lot of family members and things, say they discuss their care with me and this is the common story. “Well, my TSH was high so they put me on Synthroid or levothyroxine.” And that’s sort of the end of the story. Tell us what’s the faulty thinking there and why is that not really a solution. Or is that a solution? RS: Right, right. It’s a solution for some people. That’s the problem. There are some people that have difficulty with fertility or any number of female concerns that are related to the hormonal system. You get the initial test which is the screening test that everybody gets called a TSH. Then based on that, you might get, “oh, that’s high.” That means you might have low thyroid. Or that’s very low; that means you might have high thyroid. Depending on that one test, then you get the medicine for all low thyroid people, the medicine that is generally used is levothyroxine (brand name Synthroid/synthetic thyroid). It works for some people and because it works for some people, just that alone and just using the TSH alone to monitor whether you need it or not, or one’s on you’re on it, how much of it is the proper dose. Just that one test. Because that procedure works for some people, it’s used for everybody. It’s used wrongly for everybody. There are plenty of people, and it’s largely women, that we’re talking about a woman’s condition here. Eight out of 10, thyroid people are women. It affects the female hormones as well as everything. It has a major effect on your female system. 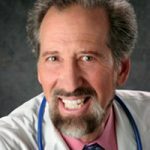 So if you are not one of the lucky people that the simple screening test, that one test is the answer, or the one medicine that is sometimes the only medicine used, that isn’t quite the answer for you, then you’re almost out of luck unless you search for a functional medicine practitioner or good nurse practitioner who would understand more about this. You read the ‘Thyroid Power’ book or the ‘Thyroid Mind Power’ book or especially ‘Feeling Fat, Fuzzy, or Frazzled’ book. There you can find out that there are several other tests that might diagnose you with a thyroid problem even if the one screening test is normal. The other tests, the test of your thyroid hormones. You mean the one screening test does not test for thyroid hormones? Right! That’s true. It doesn’t. It tests for pituitary hormone called TSH. So the pituitary hormone and the brain controlling the pituitary, that test may not be accurate for you. It may be normal and you may have a thyroid problem. It’s one of the most common problems in the entire country. It is, oddly enough, a bigger epidemic than almost any other epidemic we have. There are more medicines given for thyroid problems than for any other category of illness. Ask any pharmacist. It is a silent epidemic because it doesn’t really kill you. It can make you wish you were dead but it doesn’t really kill you. So you could have a thyroid problem and many people do. There are maybe 30, 35, 40 million people with a thyroid problem. Most of them are getting medicine for the thyroid problem. There are many more people who have a thyroid problem that are as yet undiagnosed and as yet are not taking medicine. So that’s an enormous segment of the population that could be dealing with a pervasive endocrine difficulty that is affecting their female system but it can be affecting a lot of other things. It causes the whole long list of things. Shall I give you the list? There’s fatigue, depression, overweight, dry hair, dry skin, dry eyes, high blood pressure, high cholesterol, low libido, and a whole host of female problems, everything from just in a regular cycle to severe menstrual pain or actual endometriosis and endometriosis pain. And you can have infertility just from thyroid. Many of the old infertility clinics that were low tech, they were very successful because they put women on thyroid hormone. That was a very common thing to do because it was often the answer. So, a low thyroid problem affects your fertility but also, it can cause recurrent miscarriage. Then there’s a tremendous amount of postpartum depression that’s caused by thyroid. In fact—this is astounding—most all postpartum depression is actual low thyroid that’s thyroid inflammation right after the delivery of the baby. It’s a surge in the antibodies that get turned off when there’s pregnancy. You don’t want to have antibodies rejecting the placenta. So that part of the immune system is turned off and right after the delivery of the baby, it comes on with a surge and that often leads to thyroid inflammation and it can be temporary, it can be ongoing, but that’s the cause of most postpartum depression. Then of course, this thyroid is a major player in severe menopause. So, that’s plenty of things that we can do to just this one little gland in your neck, this little gland in your neck that is running everything. So we often say in the thyroid field that the problem may not be in your head, it may be in your neck. So keep that in mind. 13:04 CL: Absolutely. How many women, and you touched upon postpartum, how many women have been put on antidepressants who actually have a thyroid condition? RS: Oh, it’s enormous. It’s been researched. This is not guesswork. It’s been researched that as many as 30%, 35%, some people they say it’s up that high, it’s certainly over a quarter, over 25% of all depressions are thyroid related. You can get some help with psychotherapy even if it’s depression that’s caused by low thyroid. You can get some help with antidepressants even if it’s depression caused by low thyroid. But the major help that you get is when you treat the thyroid problem. 13:54 CL: Yes. Whey is western medicine so outdated that if you go to kind there’s like big HMO-type hospital, I won’t name them but I’ve treated a lot of their patients where they will test them for TSH. The woman has tons of signs and symptoms and then they won’t test the other markers and they don’t do thyroid antibodies. They just kind of refuse to do them. It’s almost like you have to independently test them. Why are they so stubborn to do that? RS: I believe it’s corporate policy related to being pennywise and pound foolish. The idea, when the big HMOs are running the business, they I think have a feeling that diagnosing and treating a lot of thyroid folks is going to be a waste of their time because it’s a mild illness and it often doesn’t go anywhere and they would prefer to call those people the “worried well,” that you’re not really sick badly and so you don’t have anything or it’s all in your head as opposed to maybe it’s on your neck. So, that’s one reason that they think it will save money. I think it’s pennywise and pound foolish because the high cholesterol, the stomach problems, the infertility problems, all kinds of skin difficulties, the hair problems, the HMOs are spending a lot of money treating those things. But they must figure that maybe that’s cheaper for them than to treat the original problem. But I think it’s much cheaper to treat the underlying cause and get to the cause of several of these problems all at once. But they’re pennywise and pound foolish. Now there’s another factor and I believe that it’s corporate exposure. The corporate model is that we’ve got to limit lawsuits and so the best way to limit legal exposure is to do everything exactly according to the book cookie cutter and yeah, it’s not the best medical care for everybody but it covers us really well. It covers the HMO really well. So, that’s my personal opinion. 16:28 CL: I think you’re right on. That’s my personal opinion. Okay, a couple of things that come to mind. I’m just going to throw out a couple of things just to kind of pin them into my head: thyroid antibodies test. Because now there’s new studies showing that thyroid antibodies are shown to be elevated prior to anything showing up with the other thyroid markers, one. And then another question is, what’s in our water that I know you’re pretty vocal about that’s affecting our thyroid health. RS: Sure, okay. Two very good questions. Let me just say that we’ll get to the environmental thing because that’s pretty big. But the very first, you just want to know what about thyroid antibodies. I think every good panel for thyroid testing, and that’s what you should ask for and want when you go to a practitioner. Or you can order online. You can do this online. The ThyroidPower.com that we created has links to different labs that would let you self-order a very good thyroid panel that includes the thyroid antibodies because you’re right, you can have all the TSH be normal, you can have the T4 and the T3 hormone levels be normal, but the antibodies might be what is off and what would tip you off to the “oh!” that you have a thyroid abnormality that would be nice to treat. It’s not always the case. Some people have a hard and bad autoimmune thyroid condition but the antibodies are not showing it. So it’s not 100 percent. None of the thyroid tests are 100 percent. That’s why it’s better to have a whole panel. And sometimes it’s good to keep in mind you could still be low thyroid even with all the tests being normal. I’ve seen this over and over that our tests are not that good. They’re good in the positive direction. Meaning, if you have something that shows up abnormal on a thyroid test, you can trust it because thyroid testing has very few false positive showings like that. But if your test is normal, you can’t trust that. Thyroid testing has an enormous amount of false normals. That’s the state-of-the-art. It’s just not good in that direction. So, when you think you have a thyroid problem which could be because your aunt and your grandmother and your sister and your daughter have thyroid problems, you probably have a thyroid problem because it runs in the family even more than diabetes. But in addition, you might say, “Gee, I’ve got fatigue, depression, overweight, dry hair, dry skin, dry eyes. I’m chilly all the time. I tend towards constipation. I’ve got all these cardinal symptoms of low thyroid. Maybe I have a thyroid problem. The tests are all normal but I’m going to treat it anyway. I’m going to get somebody who’ll give me a trial of thyroid medicine or I will go and get some of these many different over-the-counter remedies that you can buy without a prescription, by yourself on your own, and get some good initial treatment of a thyroid that’s too low. You can boost it up. There are vitamins and minerals, and we can talk about that later. But right now, the environmental issue is really worth addressing. This is very important. We have now a mushrooming epidemic of thyroid problems. There’s more of it as you get older and older So the percentage when you’re in your teens is very low. As you get in your 20s and childbearing years, it’s higher, and your 30s it’s higher. Anyway, by the time you’re a postmenopausal woman, it’s 1 out of 4 of you and your friends, 1 out of 4 postmenopausal women has some degree of thyroid difficulty, so that’s a lot. So the percentages get higher and higher as you get older. And especially if you have any relatives who have had thyroid problems or diabetes or rheumatoid arthritis or Crohn’s disease or anything autoimmune or rheumatoid or diabetes, you are a good candidate. Now, this is such a large, large problem. Why is there so much of it? One reason is that pollution is increasing. The pollution in the air, food and water with synthetic chemicals is noxious to your thyroid function. Of all the tissues in the body, the thyroid is like the most sensitive. Maybe the adrenal and the thyroid are together. But these are two hormone-producing glands that are the most sensitive to these synthetic chemicals that will either mimic or block or derange normal hormone production and function. 21:41 CL: Okay. So there’s plenty and there’s heavy metals that we can become exposed to. What about our water supply? Because I know that you’re vocal about. RS: Sure. There are many chemicals in water that we don’t want to be there. And so every county has a lab that measures what are the chemicals in the water. Some of the bigger cities can tell who is polluting, what factory is polluting based on what chemicals they find. They get a hold of them and tell them to stop it. Okay, yeah, so sometimes the pollution is a heavy metal like mercury. Mercury in even small amounts. Also, there’s a lot of mercury in food, especially the certain kinds of predator fish, big, big swordfish and tuna. The predator fish have a lot of mercury. So mercury either in the air, food and water, is a direct antagonist to thyroid function but there’s many, many others. So you try to live this chemical-free life as possible. In the water supply, there is a chemical that is proven to be anti-thyroid, strongly anti-thyroid, that we deliberately put there. We deliberately are putting fluoride into the water. That’s for the purpose of protecting children’s teeth and it’s not clear on whether it protects adult’s teeth that much. It’s not clear how really effective this whole process is. It hasn’t be measured carefully. That’s hard to believe but it’s a maneuver that’s being done in maybe 75 percent of all of our municipalities and it really hasn’t been proven to be effective. But be that as it may, it has been proven to be anti-thyroid. Fluoride was used as a medicine by doctors to deliberately slow down thyroid function in a person whose thyroids were overactive. Now this was years ago before we had the present-day medicines that deliberately slow down thyroid function in hyperthyroid people. But before we had these new medicines, the medicines like Tapazole or PTU, these medicines were only recently developed. Long before we had them, people used fluoride to slow down thyroid function. It was doctors who used and prescribed it. It worked! And it turns out that the amount of fluoride that people get from just normal fluoride adjusted water and the amount of fluoride that comes from other sources in food is enough, it’s been shown in the lab. It’s quite sufficient to lower thyroid function. So I urge people to try to avoid fluoride if they can as well. 24:47 CL: I have personal friends who live in the Bay Area. We’re supposed to have some of the best water in the nation, comes from Hetch Hetchy they always say. But it’s like pharmaceutical residue, chloramine, which is a derivative of chlorine that you can’t boil out of water. It doesn’t vaporize out and then the fluoride and God knows what else. Then sometimes will use kind of like those pitcher-type filters. I don’t think that those are fine enough really to filter out a lot of that stuff. Do you know more about that? RS: Well, I can just say very briefly that you cannot get fluoride out of your water with any filter other than a reverse osmosis filter or a good distiller. It’s a tiny, tiny molecule. Fluoride is a tiny molecule and it won’t get out just with a regular filter. 25:43 CL: Okay, I’m going to throw a couple other questions at you or I guess this is more a statement. Being on thyroid medication is just putting a Band-Aid on the problem and then the second one, well, let’s address the first one because the second one slipped my mind, but it will come back to me. So, there’s kind of that school of thought. “Oh, you’re just putting a Band-Aid on it,” and you’re not dealing with the underlying issues of it. RS: Right. Okay, there’s two important aspects in the answer to that. Okay? One is that it’s true and one is that it’s not true. Okay? It’s true to the extent that yes, all thyroid problems, both high and low thyroid, now this doesn’t include thyroid cancer but I mean most all high and low thyroid are related to the immune system. And the medicines that we are giving for a thyroid problem are not immune system medicines. There are immune system medicines that are used for certain kinds of rheumatoid arthritis. You see the ads on TV for these. They are immune modulating medicines. But we don’t have a good safe one that’s effective for modulating the immune problem of thyroid illness. So high and low thyroid is treated by either giving the high thyroid person the medicine that will slow it down which these days is not fluoride but instead is PTU or methimazole/or called Tapazole that will slow down a hyperthyroid, a high thyroid situation. Much more common is the low thyroid situations. Maybe much, much more common. Many more people have that. So the medicines there are thyroid hormone. You actually take bioidentical thyroid hormone. Now it can be synthesized and the standard one is the T4 levothyroxine thyroid hormone, but there’s also synthetic T3 thyroid hormone and there’s also natural animal-based desiccated thyroid hormone. So those are what are used to treat the thyroid problem. Now here’s why what you said is not totally true. When you treat the thyroid problem with these medicines, it’s not just putting a Band-Aid on things because when you allow the system to get back to normal and be functioning normally, that results in some healing overall including the thyroid gland. But there’s something else that happens. When you give thyroid medicine, it lowers the TSH (thyroid-stimulating hormone) from the pituitary. A thyroid gland that is not stimulated will not produce thyroid hormone and the immune system is not angry at the thyroid gland. It is not angry at thyroid hormone. It is angry at the thyroid gland producing thyroid hormone. That’s what the immune system is angry at. So you stop the thyroid gland from producing from much thyroid hormone. You don’t stop it completely necessarily but you can stop it a lot and then that really curtails the immune system being angry at the thyroid gland. So after a while and sometimes this is seasons of a year or sometimes a couple of years of very good thyroid treatment that lowers the TSH to a nice low number, and I even like it to be a little below normal, a number that’s even a little below normal. That’s called TSH suppression. But you get a nice low number for your TSH. The thyroid gland in your neck is now not being stimulated to produce thyroid hormone. It’s relaxing, it’s healing and it can proceed along the healing pathway and maybe after that period of time you won’t need any thyroid medicine at all. You have used thyroid medicine not as a Band-Aid but as actually you have effected some healing. Now, because not everybody’s body will respond this way, doctors for the most part say, “Oh, once you’re on thyroid, you want to stay on it forever.” Remember, you don’t need to stay on thyroid hormone forever because you’ve taken the medicine. The medicine doesn’t mess up your thyroid and make you need it forever. But it’s because some people do need it forever. Their thyroid gland has been zapped so hard that it’s not going to recover. But most people, it could recover. But because some people won’t recover, doctors don’t want to take time to figure out who’s who and instead, everybody gets to be on thyroid medicine forever. It’s a drug company’s dream. RS: I figured you would. I figured that. 31:02CL: This thing is still working. When I would refer patients to you, it really educated me because a lot of the patients would come in and they were on synthetic thyroid. It wasn’t working for them and then we would always put them on naturally desiccated but then they would go to you and I would talk to them about their experience and they would say, “in my case, I need synthetic thyroid and this is why,” and I thought, “oh, okay.” I’m kind of naïve and thinking no, naturally desiccated is always the best. So talk to me about that. RS: Oh, I hear you. Listen, there is no one thyroid medicine that is always the best for everybody. You will find many of my colleagues will say, “no, no, there is the levothyroxine synthetic T4 hormone. That’s best for everybody.” Then there’s the natural doctors and the functional medicine doctors will say, “oh no, the natural desiccated thyroid. Not the synthetic. The natural thyroid is best for everybody.” Then there are people that are very fond of compounding pharmacies and they will say, “oh, the compounded thyroid medicines. That’s what’s really best for everybody.” And I’m here to tell you there is no one thyroid medicine that is best for everybody. People are too different. There is so much biochemical individuality that your job and the doctor’s job is to find the kind of thyroid medicine or maybe the mix of thyroid medicines that’s best for you. 32:38 CL: Okay, very good. It’s a little bit more complex than we want to believe and the more you work with people, you’re like, “this is so complex.” Okay, here’s a couple other things. What the belief is in the functional medicine community is a TSH of below 2 is really optimal for a healthy pregnancy. Is that true in your experience? RS: Well, sure. It’s partially true. It’s certainly more optimal than a TSH of 3 or 5 or 11. By the time your TSH is over 3, then you’re probably a little bit low thyroid, if you have any symptoms at all. 33:22 CL: I haven’t looked at the lab recently, but isn’t the TSH reference range up to 4? RS: The reference range according to the clinical chemists who set the reference ranges for the medical doctors, the new range is maybe .4 to 4. But the American Association of Clinical Endocrinologists says that the reference range should be .3 to 3 and then there are other groups and in Europe they say it should be .2. Oh pardon me, there is an emergency at the front door. 34:05 CL: Oh yeah, if it’s not my dog, it’s always someone I’m interviewing. This is like an animal show in the background. RS: The other doctors say it should be .2 to 2.2. In Great Britain, I am told that if you walked into a clinic and your TSH was above 2.2, you would be a candidate for considering thyroid medicine. Now I think that’s very wise. So I’m not a fan of saying “oh, it’s going to be fine. Your pregnancy will be fine,” if your TSH is 2. I’d like it to be a little lower. I’m very fond of anywhere between .5 and 1.5. That’s my sweet spot, you know. A TSH around 1 is more like what I’m interested in. 34:54 CL: And that’s what you’re talking about, the TSH suppression. RS: No. A TSH of 1 is what I’d like for pregnancy to go through. But if a person is not dealing with pregnancy but instead is having these thyroid symptoms and wondering how much thyroid medicines to take, whatever kind you’re taking, it would I think be nice to have a TSH that’s down to around .2 or .3 because although that’s below a lot of people’s normal range now, I think that’s where there’s less stimulation of the thyroid gland. The less stimulation of the neck and that would be the maximum healing potential. Everybody who’s in this field has a different opinion. There’s not a great consensus among doctors and this is very difficult for patients, when the doctors and the scientists and the researchers don’t agree really well and I think it’s because there’s a lack of knowledge. When it’s very clear, when the medical research and the doctor’s experience is exceptionally clear and vivid, there is agreement. For instance, what’s the medicine for strep throat? Well, the medicine is penicillin. That’s really clear and everybody does that because there’s not much doubt about it. With thyroid, we don’t know thyroid well enough compared to what we know about strep versus penicillin to be able to say, “oh, this is the hard and fast rule.” I’m going to tell you if you find someone who says “Here’s the fast and rule for thyroid treatment,” or, “Here’s the hard and fast rule for thyroid diagnosis,” I would take that with a grain of salt. And so I want your viewers to realize that there are some doctors that are not as interested in it or seeing it as much of an issue or problem as you might wish for it to be. Okay? You get to have some better diagnosis and better treatment. We call it better thyroid care. The functional medicine doctors are into this and I urge your listeners to be interested in this. It’s very much a factor in not being able to get pregnant or having recurrent miscarriage. It’s a big undiscussed factor. It is underutilized. The benefits of thyroid improvement for women’s health and especially fertility is underutilized. 39:10 CL: I agree. I mean, we really, really emphasize it and educate it. I mean, that’s why I brought you on. RS: That’s why I’m here. Okay. 39:19 CL: You’re like the Jedi master. But we kind of cram it down our throat, we talk about it all the time. RS: You are on the right track. That’s good. 39:29 CL: Yeah, absolutely. There’s no assessment that doesn’t involve this heavily. Everything is emphasized around the whole body. But the thyroid, adrenals, the hormones, absolutely with reproductive care. Do you do like a food intolerance test? Are there foods that you have found are just kind of a no-no that affect the thyroid? Gluten has been talked about as being detrimental to the thyroid. What’s your experience? RS: Just like with what is the best thyroid test or the best thyroid medicines, this is very individualized. Gluten is not a problem for everybody. Is it a good idea for everybody who’s thinking that they may have a thyroid issue or who is treating a thyroid issue to avoid gluten? Some doctors say yeah, that is a good idea. You can get a few different kinds of testing for whether you are sensitive to gluten. I think that would cover the bases. You can do special testing for what foods you are sensitive to. If you are sensitive to certain foods, if your immune system doesn’t like green peas or any number of other things, and you’re continually eating them, then that is irritating the immune system enough, then it might be causing more of a thyroid issue than you would have otherwise. So, as far as the easy way to do it, not by testing but instead by, “oh, here’s the foods to avoid,” I think some of that is overdone. We talked about gluten. I think the only other food that I would tell everybody about is soy. Too much soy will lower your thyroid function. But that’s soy that hasn’t been cooked or soy that hasn’t been fermented. So if you do either of those other things, if it’s cooked for a minute, the soy is not going to be a big issue at all. But people who like just barely warm edamame or they do some kind of soy powder in their food, ground up soybeans, if you do that or eat a lot of soy, with every meal perhaps. Some people think soy is so good for you that you should have some with every meal. I think that that could be a factor in your thyroid balance. Too much soy that’s uncooked or unfermented will lower thyroid function. 42:15 CL: Okay, that’s fair. Like the soy protein isolates a lot of whatever. They’re like protein drinks. RS: Right. But the best food advice is to eat food that it does not have synthetic chemicals in it. That sounds like it might be easy but it’s not. You got to be really careful. You got to really work hard to be eating but not eat a lot of synthetic chemicals. So you try to buy organic, you try to look at labels, you try to do all that, and that will help your thyroid. 42:51 CL: Okay. Very good. What about iodine? Because I’ve interviewed a few specialists who say iodine deficiency is at epidemic proportions and iodine is absolutely critical for thyroid health. RS: Okay, all that is true. Except, is it true for you? There are a great many people who live in an iodine-deficient area but they eat a lot of seafood. Maybe they take multivitamins that have some iodine and it may not be true for them. It’s much more complicated an issue than to make any blanket statement. You can check your iodine level. There are a number of tests that are available. Some of the specialists that you’ve had on your show, I imagine, have talked about the difficulty with the test. The tests are not real good, so you got to do the special test. It’s called an iodine loading test. That kind of testing has its own pros and cons, from my perspective. Yes, there is a worldwide problem of iodine deficiency. It used to be thought of as the Third World or the interior of the continents where there’s less iodine, or landlocked countries like Switzerland. All of that is true, except there is a lot of thyroid problems in Japan where they eat a lot of seafood and seaweed and they have a lot of iodine. So it’s not as simple as that. If you’re wanting to cover yourself and you’re a person who’s living in the interior of the country, then have your salt be iodized salt. If you’re on the coast and you eat a lot of seafood and you maybe even eat some seaweed, you have some kelp in your soup or you have some arame. Well, it’s mostly the brown kelp that have iodine, the brown seaweeds. And fish, shellfish. If you are someone who consumes those things on any regular basis, you may not have an iodine problem. It doesn’t have to be guesswork. You can do any of the tests, and none of the tests are that great. But the more cumbersome, more expensive, more invasive type tests are supposed to be better. But I think that it’s a big problem. I’ll give you an example. The people who were experts at this whole iodine thing, went into a foreign country where there was iodine deficiency and people had goiters and kids had retardation and it was a terrible problem. Iodine worldwide affects one billion people. It is a terrible problem—iodine deficiency disease. They said, “okay, we’re going to give everybody the potassium iodide, these tablets and get them better.” So, this was in China. They came back a few years later and studied. What happened, well, now there was no longer any iodine deficiency, but there was now an epidemic of Hashimoto’s thyroiditis because the iodine, when it’s not taken in very gradually and slowly over a long period of time, causes an irritation of the immune system. Iodinated thyroglobulin, one of the assembly parts of making thyroid hormone, iodinated thyroglobulin will increase thyroid antibodies. So if you’re old as I am, remember there was a show on TV called The Life of Riley and he would often say “what a revolting development this is!” It’s a revolting development, that you can cause more problems by trying to solve some of the other problems. So, I’m not a big fan of people consuming large amounts of iodine. Some people say it’s quite safe and can be effective. It can be therapeutic as well as preventive. It’s not a big part of my practice because it gives me the willies. But other doctors are very fond of it and there’s research that it’s useful. So I think it’s just one of the examples of how complex this whole arena is. 47:55 CL: Absolutely. How do I find out more about you? And then after you tell us, I want to talk briefly about your wife’s work because doesn’t she support kind of the mental, emotional aspects of thyroid? RS: Right. I’m glad you asked. RS: Sure. People get a hold of me through any of my books. The Thyroid Power, the Thyroid Mind Power, Feeling Fat, Fuzzy or Frazzled? And there’s information in there about how to get a hold of me or the website www.thyroidpower.com. I do second opinions all over the country. I see people in the office when they come to me in the San Francisco Bay Area. I am doing my kind of work that I’ve described here. I have a daughter who is an acupuncturist at our clinic and she does thyroid acupuncture. What’s that? Okay, she works with the 14 different meridians and balancing your chi and balancing the acupuncture meridians that relate to good hormone expression. So she is able to do something that all of my medicines and all of my herbs and all of my vitamins and whatever I use, my prescriptions and tests and everything are not quite doing the job for some people and they go to her and she’s a whole lot better. 52:21 CL: Wow. You guys are a triple threat. You three. That’s pretty cool that you all work together and you bring your unique gifts. That’s so amazing. The thing that I think you bring to the table, I mean, you have vast knowledge and experience, but you’re a nice guy and people, I mean, that’s so important these days with doctors because the women that I was treating and then referring to you, I mean, they just feel so misunderstood. They feel really sensitive. Every day is hard, every day is a struggle. Some of them stop working. They have pain all over their body. I mean, there’s a lot of issues. They’re having marital issues because the partner doesn’t understand. So to go to another practitioner that gives them attitude, that has weird bedside manners who has seen already 50 people that day doesn’t have time to deal with these random signs and symptoms to go to you, you know, they feel very listened to and it was like, “Oh!” It’s so important, it’s so important. RS: What a doctor at the University of Pennsylvania where I went to medical school told me, this is an old guy, then practicing medicine 50-60 years, it must have been. Anyway, he said, “You know, you’re going to learn a lot of tools and a lot of drugs and everything.” He says, “The best healing item you have in your toolbox is right here—your heart. Open your heart to your patients and that is the best healer of all.” So this is a guy. It could have been Albert Schweitzer would say something like this. It turns out that a lot of my profession have maybe been too overburdened with other concerns or time constraints or something that they’re not able to access that real healing potential that lies within. 54:24 CL: I agree. I think in a sense the system is really flawed. It kind of sets them up in a way that when you spend 5 to 10 minutes with someone to really open up and have a real conversation, it’s just not going to happen. RS: They have hardly enough time to write the prescription. 54:45 CL: Exactly. I thank you so much. I mean, it’s just been amazing to have this conversation with you and to share this knowledge and it will further our mission to educate women out there and men as well about these certain conditions that really affect fertility and what you can really do about them. And it’s so great. You’re in the Bay Area in California but you can consult with people worldwide. So there’s no limitations on that anymore. RS: People get a hold of my website and then they called me from Madagascar. It’s really a lot of fun because what I found is, this thyroid problem that we think is typically American, the defects in the system, this is all over the world, unfortunately. RS: Doctors like me also all over the world and so we talk and we get together and compare notes. 55:44 CL: Yeah. It’s so interesting because I remember growing up and you would have certain family friends. Oh, she’s a thyroid disease. I mean, okay, maybe it was either less common or they didn’t know how to find it but when I was in acupuncture school and I graduated in 2000, I felt like every single woman had a thyroid condition. I was like, what is going on? And I’m sure you feel that way because that’s what you see all day long. But I know, like you said, there’s millions. RS: It’s not everybody but it’s very common and it’s more common than we think, yeah. 56:21 CL: Okay. Thank you, Dr. Shames. I really appreciate your time. And I’ll contact you in a couple of weeks when this goes live and you could share it with your audience as well. RS: Well, it’s a pleasure. Keep up the good work. 56:31 CL: Thank you. I appreciate that. Thank you so much.